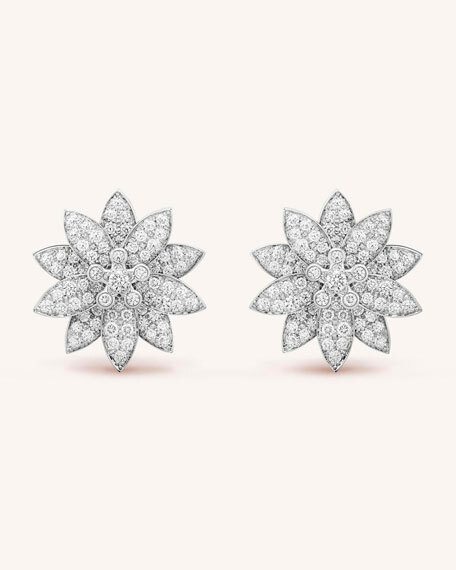 Van Cleef & Arpels diamond pavé lotus stud earrings. Polished 18-karat white gold frame and settings. DEF, IF to VVS diamond pavé lotus motif. 162 diamonds; 3.29 total carat weight. For in-store inquiries, use sku #2177774.